This year’s Method Partner Retreat is taking place in San Jose, right before QuickBooks Connect. We look forward to our Partners joining us for an engaging experience with the Method team and the entire Partner community. 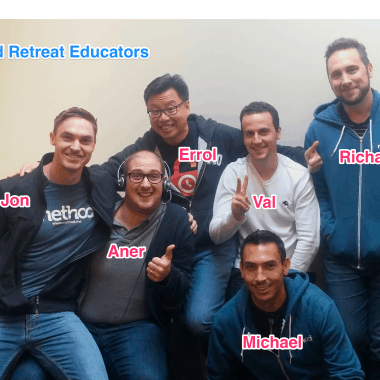 If you’re interested in joining us, check out the 2015 Method Partner Retreat page. For those of you already registered, check out the Retreat sessions below and let us know which sessions you plan to attend in the Retreat Portal. Join Mike and Jon from Method’s Product team for a first look at Method’s updated design. Learn about the new design guidelines, how they have been applied to the new design, and the driving factors behind the changes. This course will introduce users to the fundamentals of Customer Relationship Management (CRM) through the solutions offered by Method. The intent of this two-part course is to familiarize users with CRM concepts and tools as they relate to workflow, day-to-day use and efficiency. During the course, you will learn how you can track all of your customer history and follow-ups all in one place. 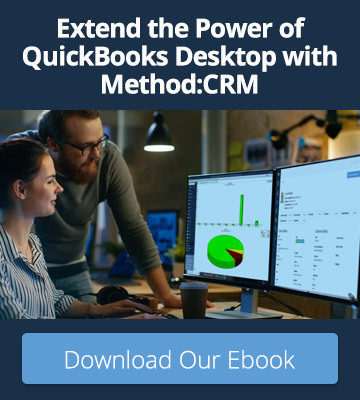 The course will explore Method’s unique interface and QuickBooks integration via entities and transactions, as well as the various apps that make up Method:CRM. Users who complete the course will have a functional understanding of how to use Method:CRM. This session is designed for those starting out, and about to get more serious with customizing on Method’s platform. It will serve as a foundation for understanding the framework of apps, packs, screens, and user access and permissions. This session will offer our guests with a sneak-peek at the newest Apps Method is building. This course will offer an introductory look at Report Designer, and how Method uses it to create reports, letterheads, receipts and invoices. During the course, you will learn how to use and navigate the software. Users who complete the course will have a functional understanding of how to create reports with their own data. Learn how to create detailed reports and calculated fields. This course will introduce Method Guest and Public pages. Together we’ll discuss where and when to use them, and the benefits they provide Method Users and their customers and/or guests. Various examples will be used to demonstrate the functionality. This course will introduce users to the fundamentals of the latest app from Method, specifically built for the nonprofit industry. The intent of this course is to familiarize users with the concepts and tools as they relate to workflow, day-to-day use and efficiency. The course will explore Method’s unique interface and QuickBooks integration. Users who complete the course will have a functional understanding of how to use Method’s nonprofit solution & Web To Lead App. This two-part session is designed to serve as a foundation for understanding fundamental concepts including databases, Method’s screen designer, and controls. We will also cover other designer-specific concepts using our drag and drop platform (no coding required). You will explore the concept of actions and understand where and how they are used, with hands-on examples of basic building. Instead of creating an app from scratch, why not customize one of Method’s stock apps? In this session, we will show you how to customize the Contacts App and the Invoice App by implementing Price Levels. 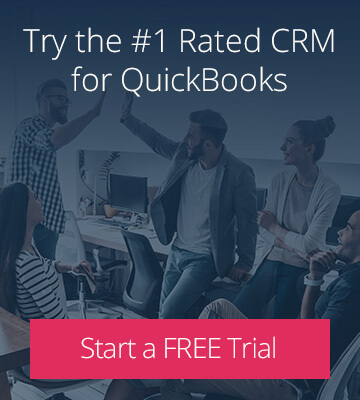 Ask around and you’ll hear one of the most common requests for new users of a CRM is the ability to import data, specifically customer leads. In this session we will use Method’s Import tool and go through various scenarios to import / export (and update) some of the most common lists. Updating records of a table en masse is a common function used for automation and efficiency. In this session, you will learn to create an app whose purpose is to assign a Sales Rep to a number of customers defined by a region. Activities will also be updated to reflect the new assignment. Customer portals or technically called Guest Pages, provide many benefits to both the business and their customers. Offering an array of self-service options to the user while allowing the company to appear “Big Company” professional. In this session we add to the existing Guest Page using Sales Orders as our starting point. This course will take a look at two controls: Charts and Calendars. You will build a custom Booking App that will utilize both these controls, learning the events and actions needed to display and manipulate the data within Method. Providing user rights is a popular request. In this session, you will build a commission calculator, taking into consideration different users and their access and rights. In addition to user rights, this hands-on session will make use of various actions to complete the app.